The Mayor’s Bicycle Advisory Council Meeting at City Hall last Wednesday was a huge success. The Illinois Bicycle Lawyers were in attendance, and were very impressed with the leadership and future plans. The main agenda items addressed included: the Bike Share Project, Bus Rapid Transit & Biking, Maintenance of Bikeways, On-Street Bike Parking, and The Future of Aldermanic Bike Camps. At the end of the meeting the general public had an opportunity to ask questions and express concerns to the committee leaders. Click here to learn more about the updates provided at the meeting. The Illinois Bicycle Lawyers would like to extend a special thank you to Chris Gagnon for his 5 years of service as the City’s Bike Parking Manager. Since Chris took over the position in 2007 thousands of bike racks have been installed around Chicago. The leadership of the committee extended their gratitude to Chris as he received two well-deserved round of applauses. The Illinois Bicycle Lawyers wish Chris the best in his future endeavors. The next Mayor’s Bicycle Advisory Council Meeting will take place on December 12, 2012. 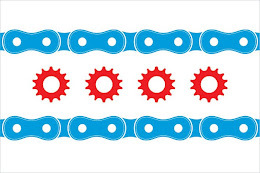 The Illinois Bicycle Lawyers will provide more details on the December meeting as they are released.